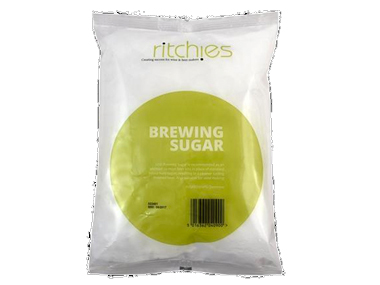 Buy Ritchies Brewing Sugar 1kg online from our UK Homebrew Shop. We sell Brewing Sugar - 1000grams and other genuine Ritchies products in the UK. Use brewing sugar for a smooth finish. Can be used in both beer and wine making. Use brewing sugar for a smooth finish. Can be used in both beer and wine making. Easier to dissolve than ordinary sugar. Where to buy Ritchies Brewing Sugar 1kg safely online? Shop at the Stirling Homebrew Shop if you are wondering where you can buy Brewing Sugar - 1000grams safely online in the United Kingdom. Brewing Sugar 1kg - Brewing Sugar - 1000grams in Sugar, Spraymalts, Hops and Homebrew.